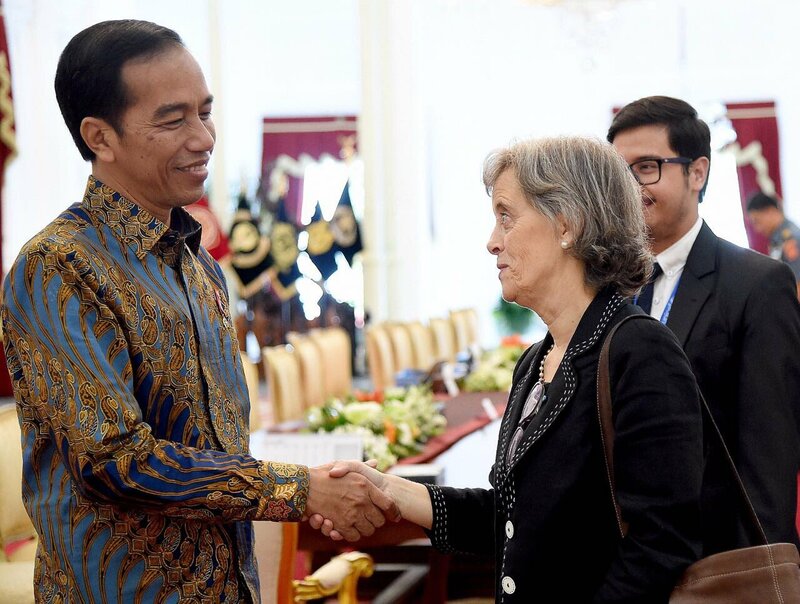 “The President’s commitment to place children at the heart of the country’s development agenda is highly impressive,” Santos Pais said after the 45-minute exchange at the State Palace in Jakarta on Monday, in which the Ministers of Education, of Women's Empowerment and Child Protection, and Minister of State Secretariat, as well as the UNICEF Representative in Indonesia and her team participated. “The recently adopted National Strategy on the Elimination of Violence against Children plays a crucial role in achieving the SDG targets related to children” noted Santos Pais, she also highlighted the negative impact of violence on children’s opportunities to grow up healthy and to learn in school, and the high cost violence has for society. She encouraged the President to consider establishing a high-level inter-ministerial task force on violence against children (satuan tugas pelindung anak) that would provide direction for the implementation of the strategy and help to monitor progress along the way. “What we have learned in other countries is the importance of also having a comprehensive legislative framework that prohibits all forms of violence against children - in all settings,” Santos Pais said. “Community and religious leaders can play an important role in promoting the abandonment of such harmful social practices,” Santos Pais said. She acknowledged Indonesia’s efforts to reduce poverty through innovative social protection schemes, such as the Smart Card, as an important contribution to keeping girls in school and thus helping prevent them from getting married early. “Raising awareness about the cost of inaction when it comes to addressing violence against children, and investing in prevention is a pathway to sustainable development,” Santos Pais said.